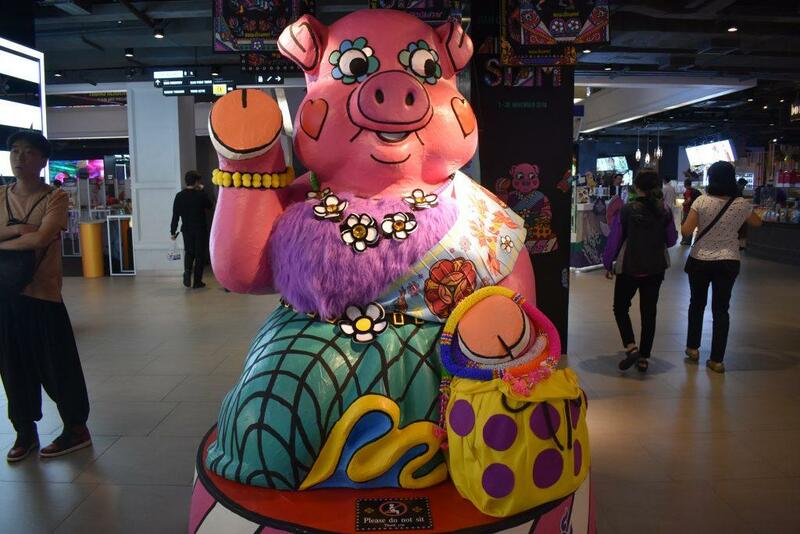 The Siam Center, built in 1973 was one of Bangkok’s first shopping malls. In 2013 it was extensively revamped and relaunched with an ultra-modern design featuring unique interior layout and decor. 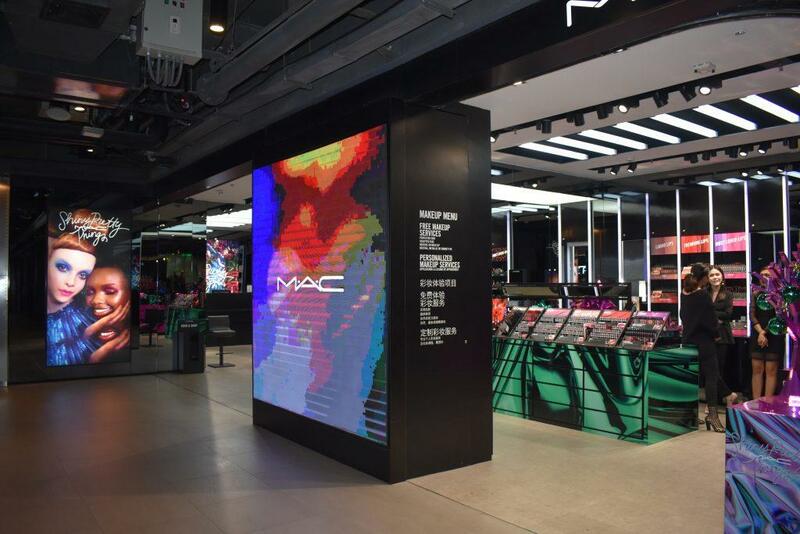 The shopping is mid-range quality cutting edge fashion, lifestyle and technological products appealing to youthful trendy customers. 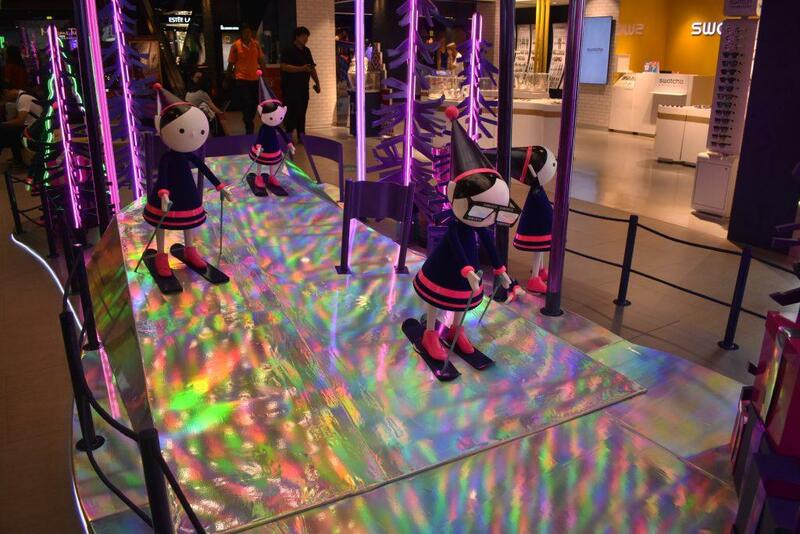 The interior design is light and airy with lots of open space, art, and high-tech creative displays. There are over 200 boutique-style stores. 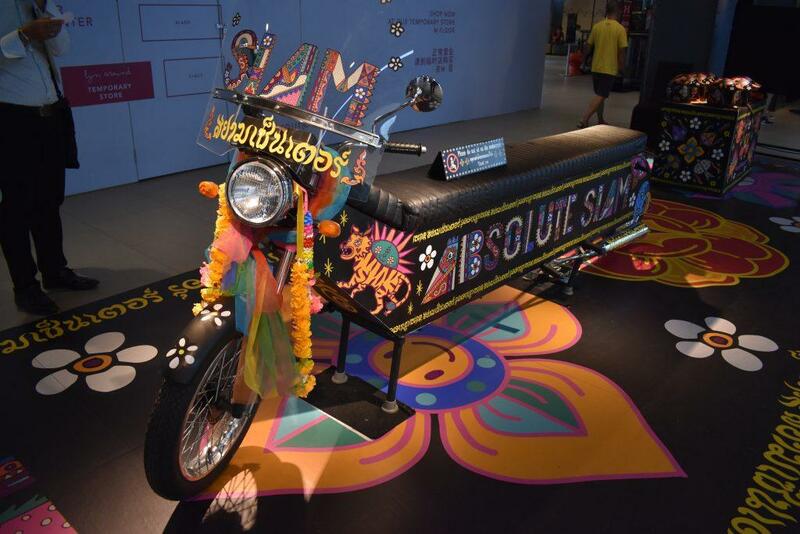 Thai & International brands feature as well as established and up & coming Thai designers. 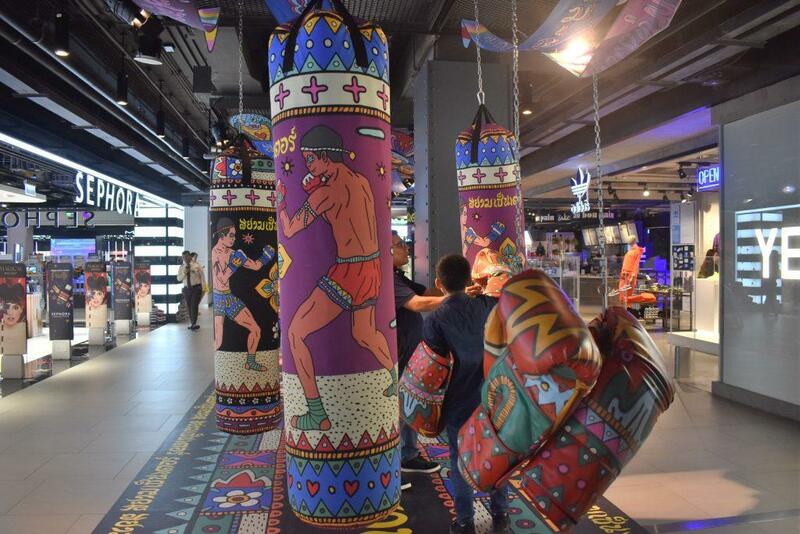 There are four floors each with its own theme. 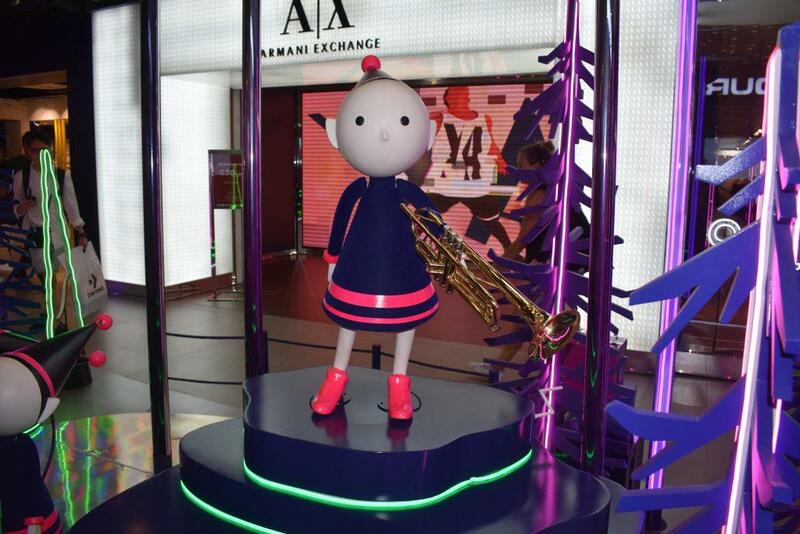 Fashion Avenue on the ground floor of Siam Center features famous International brands. Brands represented include sportswear giant Adidas & Under Armour. For a cool pair of shades, there is a large Rayban store & watches get a look in with Swatch & Tag Heuer. Trendsetting ladies fashion includes Brandy Melville from sunny California, the smart casual look of Pull & Bear & the quirky, colorful designs of Lyn Around. Men’s fashion features the eclectic designs of Thai brand Chaps, the street chic of Armani & the vintage Americana of Britains Superdry. If you’re shopping for beauty & cosmetic products there’s Estee Lauder, Sephora, Lush & M.A.C. 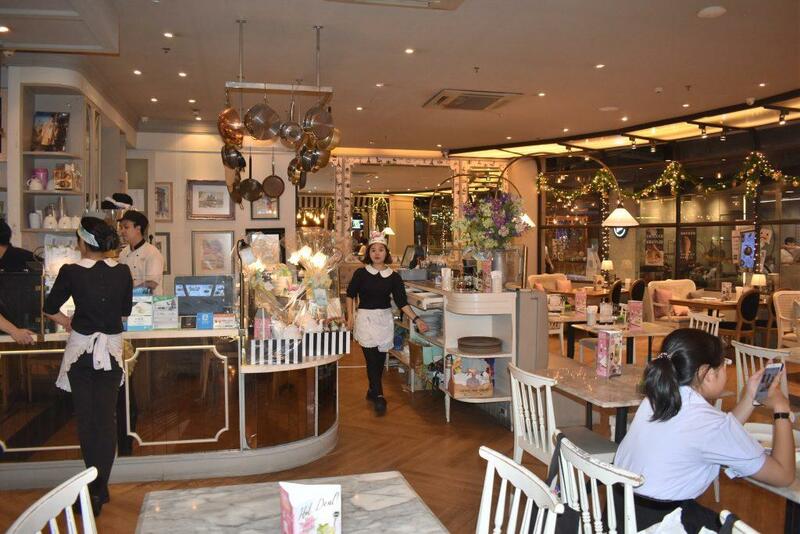 For a break from shopping make a pit stop at the attractive Bake a Wish cafe for cake & coffee. 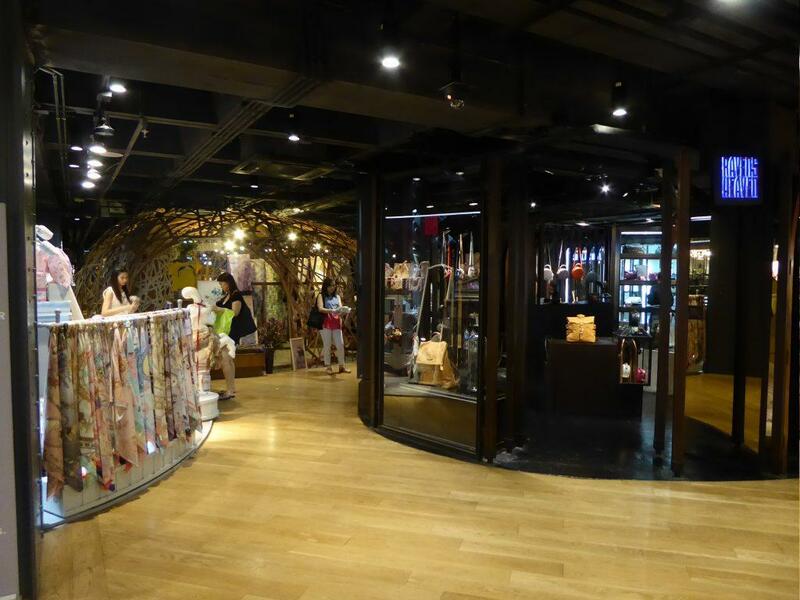 Fashion Galleria on the mezzanine floor of Siam Center features International brand clothing, accessories & cosmetics. There is fashion clothing at Aland, CC Double O, Jaspal & Replay. 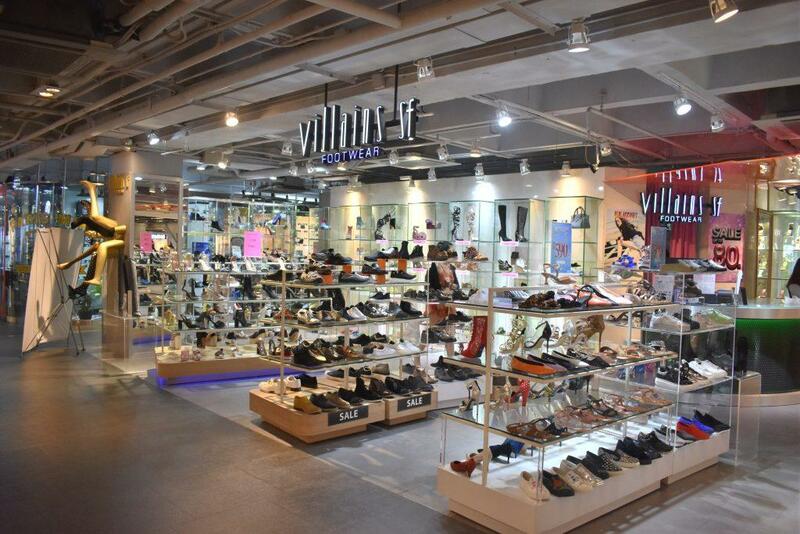 Shoe addicts are spoilt for choice with branches of Jelly Bunny & Dreams, Aldo, Dr Martens & Villains SF. 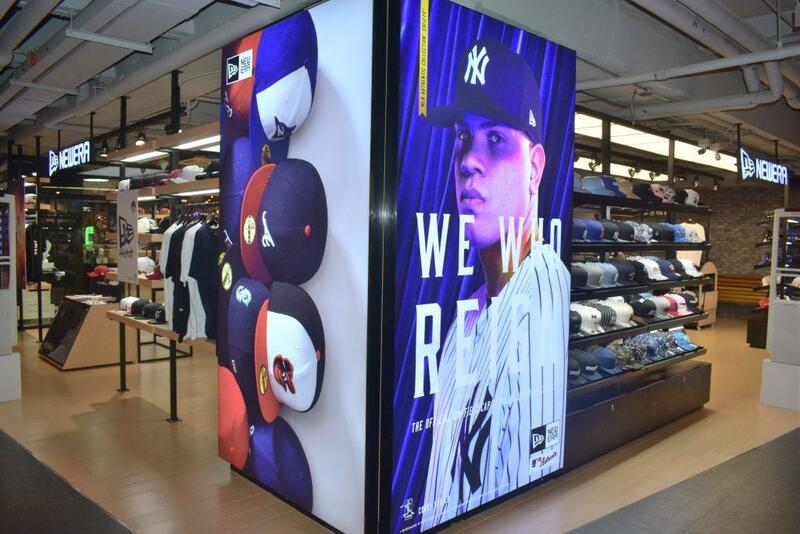 Baseball cap addicts should look no further than the American headwear giant New Era. They are the official supplier of most American sports teams. For bags & accessories check out Charles & Keith, Kipling, & Plinn. 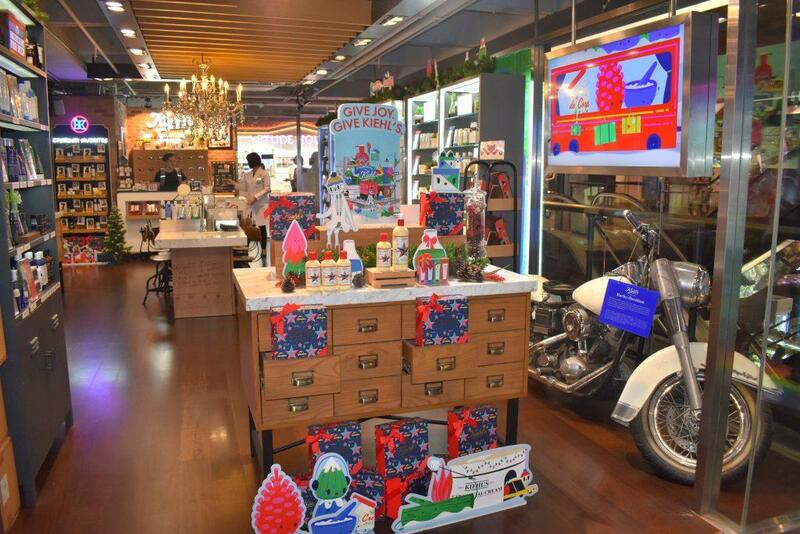 Cosmetic & beauty retailers include Bobby Brown, VNC, Merrez’ca, Bath & Body Works, Etude House, Godiva, Kiehl’s & Yves Rocher. 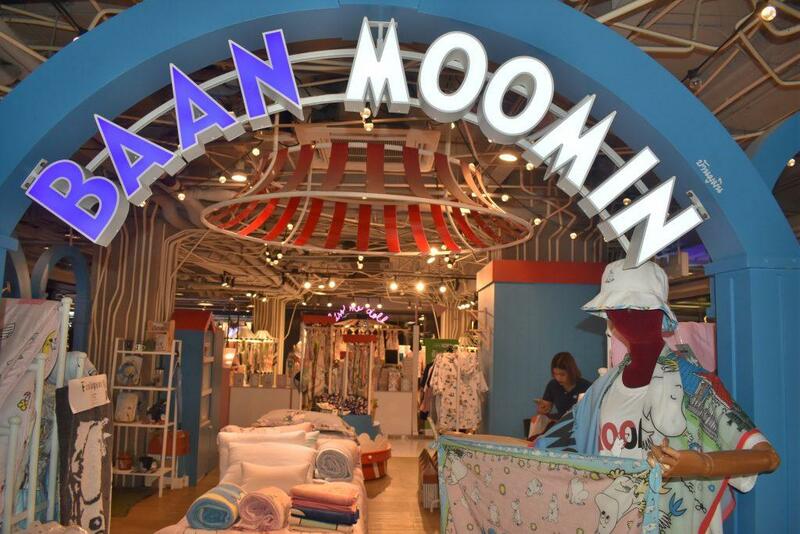 Cartoon characters the Moomins have a pop-up style store selling various branded products from mugs to clothing. Kiss Me Doll sells unique scarves, bags & clothing for both adults & children. 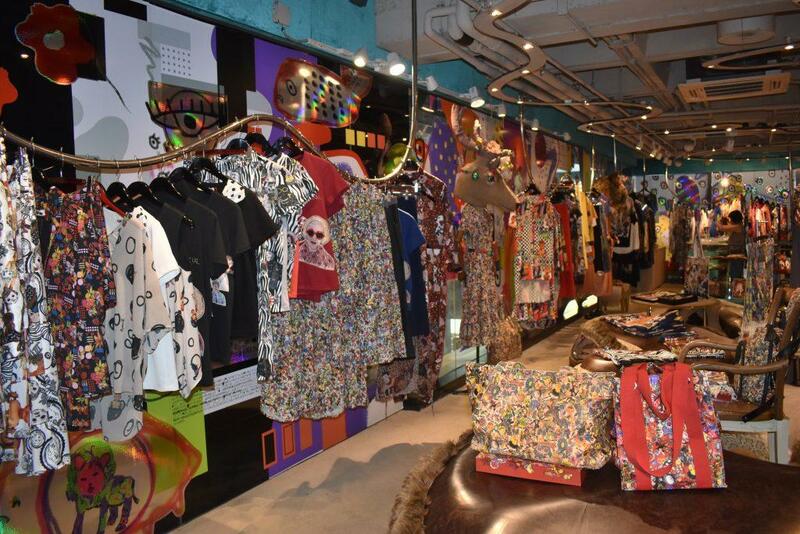 The first floor of Siam Center features Thai designer brands. 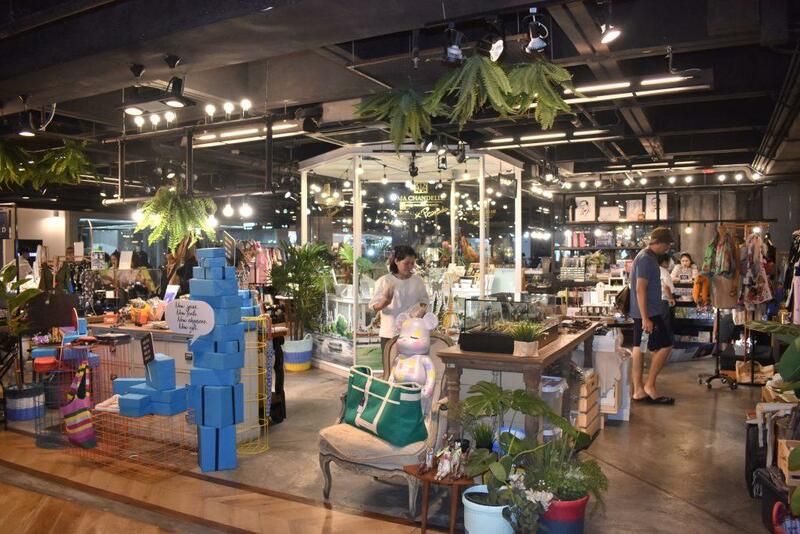 There are several eye-catching shop designs in the center of the floor including a bird’s nest, a wicker yurt & stores housed in circular glass shells. 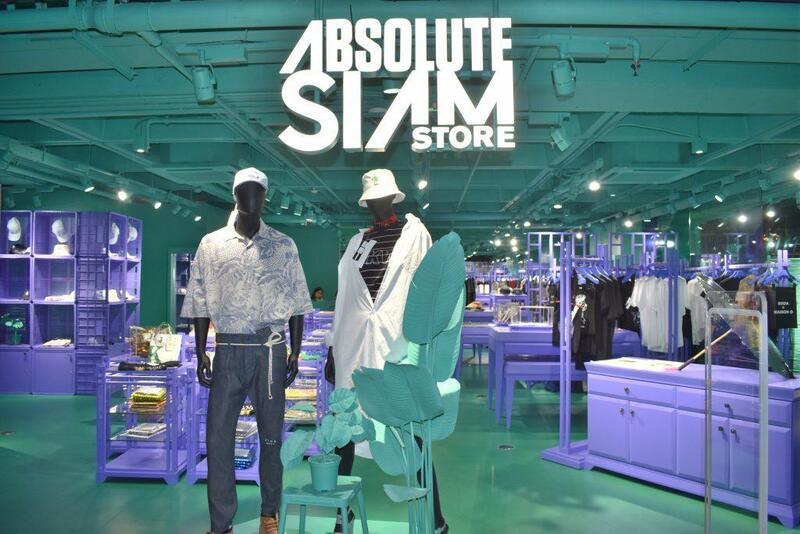 Absolute Siam is a multi-brand store selling exclusive items. The collection includes fashion & lifestyle products from Thai designers. Brands include Atlas, NYC & Savannah. Elsewhere on the floor are more Thai designer stores such as the modern stylish menswear of Painkiller & Greyhound Original. Also, women’s fashion houses Baking Soda, Theatre, Kloset, & the luxury womenswear of Fly Now III memorable for its mannequins wearing large faux animal heads. 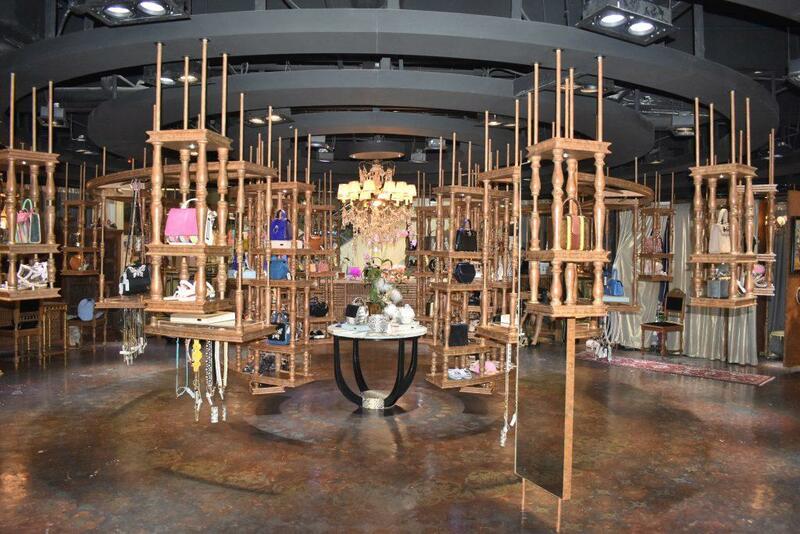 Tango sells superior quality handbags, shoes & clothing in a creatively designed circular space. 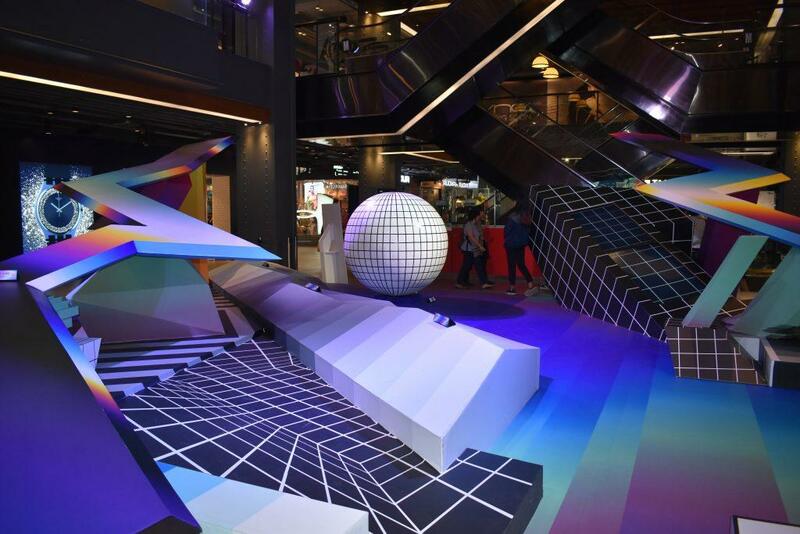 The selected is a multi-brand concept store selling modern lifestyle products. Inside you will find all kinds of creatively designed accessories. 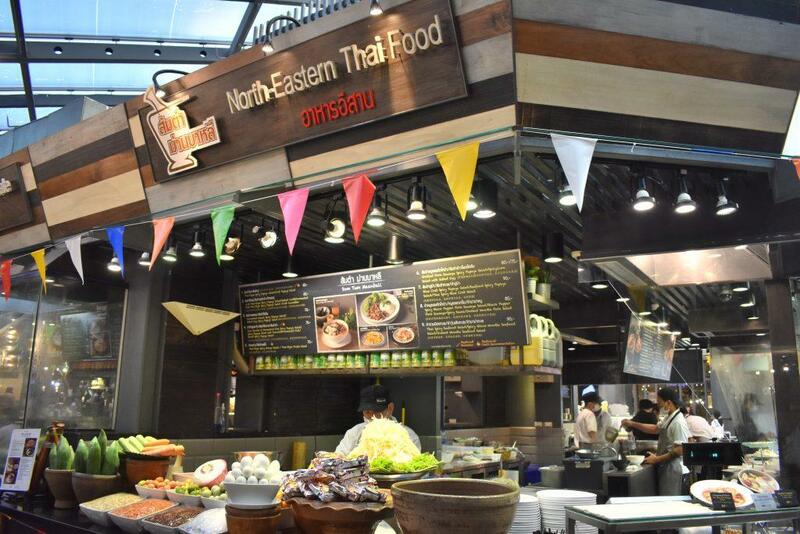 Food Factory is Siam Center’s dining zone featuring mainly Thai, Japanese & Asian Cafes & Restaurants as well as a food court. Western dining features Sizzler, Dairy Queen, Pizza Company & the Italian Papa’s Kitchen. 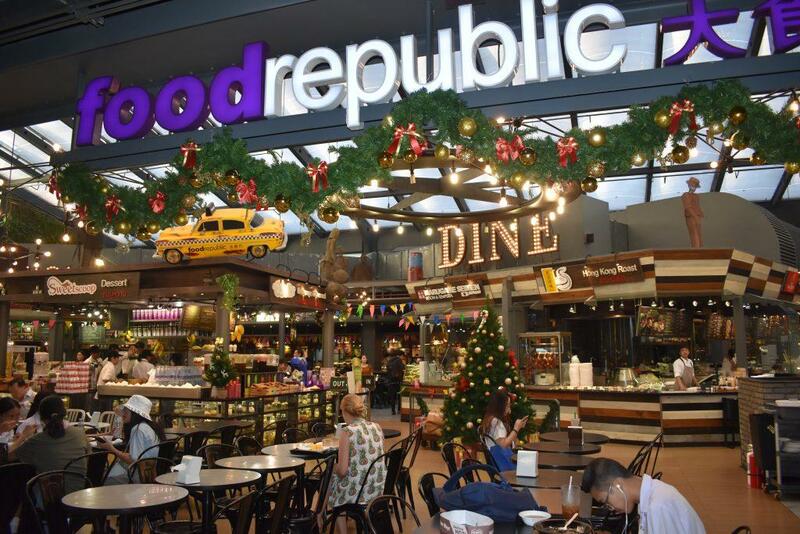 At the center of the floor is the popular hawker style Asian food court chain, Food Republic. The court features a variety of cooking stations serving Thai, Chinese, Indian and other Asian specialties. 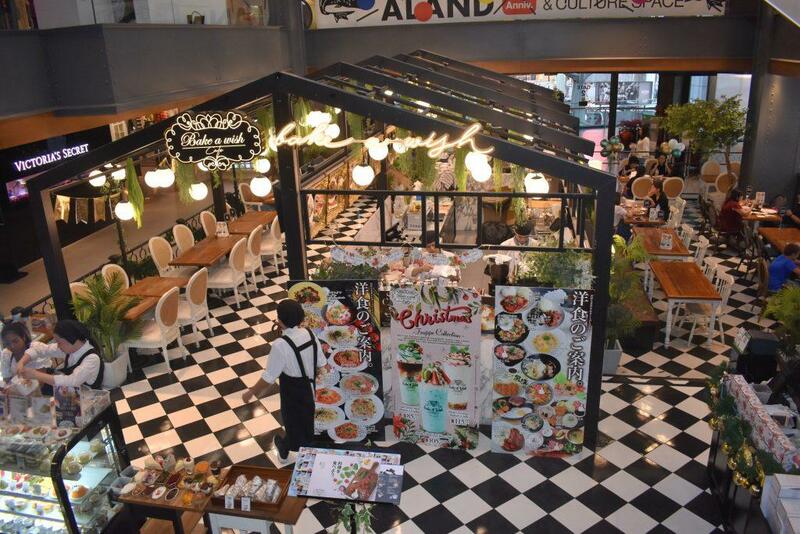 Around the fourth floor of Siam Center, you will also find Japanese restaurants specializing in Sushi, Ramen, Tonkatsu, Shabu & the all you can eat buffet of Sukishi. Somtam Nua serves up spicy Isaan style Thai food. Petite Audrey is a classy vintage French style cafe serving tea, coffee, bakery, and Thai-European bistro-style dishes. Yenly Yours is a dessert cafe with a passion for Mango. 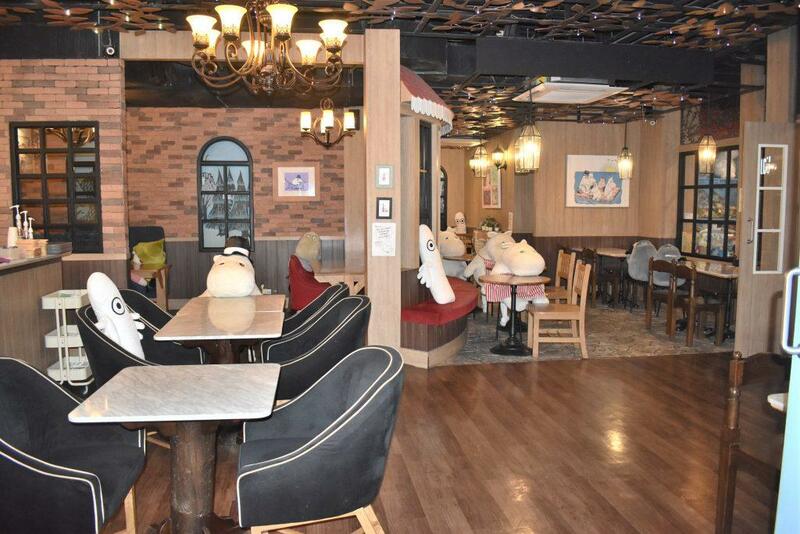 The popular cartoon character Moomin has his own cafe filled with cute Moomin soft toys & memorabilia. 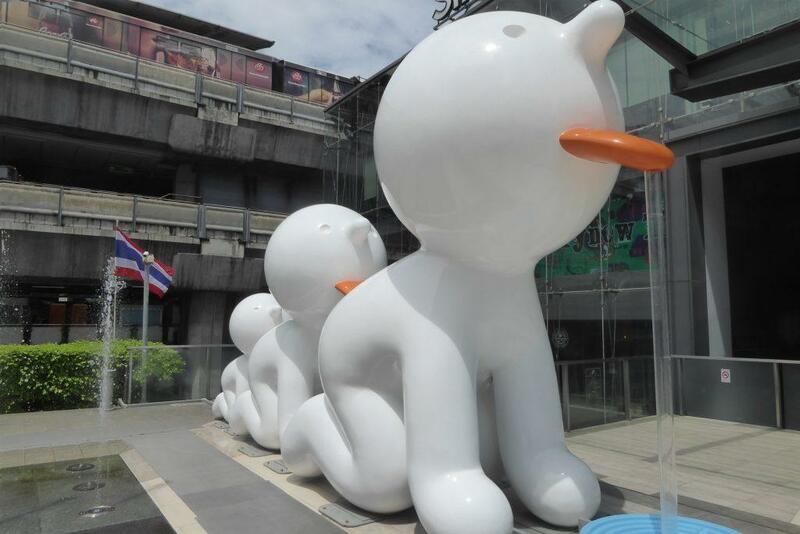 Siam Center has regular inspirational Art installations in its display zones. Check out a few of these recent ones. Foreign tourists can get a Tourist Discount Card which gives a 5% discount at participating outlets in the mall as well as a 6% Vat refund. The card can be obtained from the customer service desk on the production of your passport. 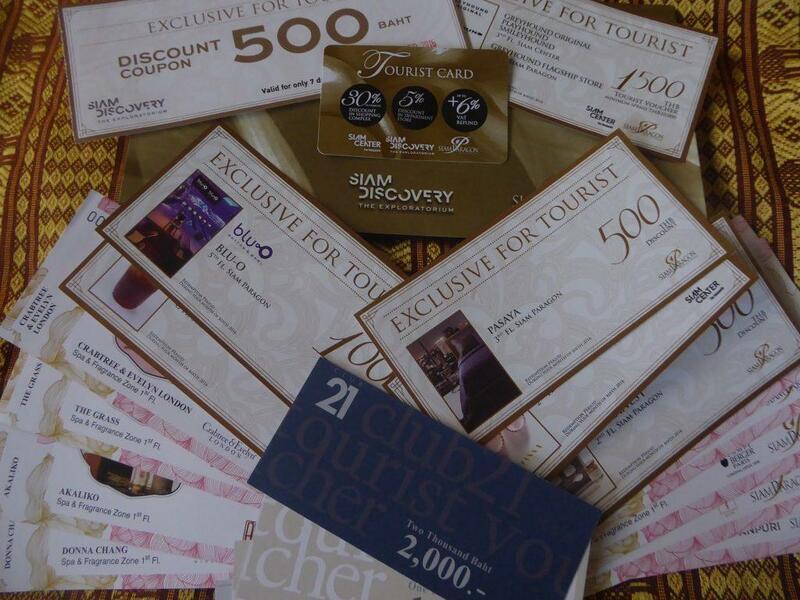 The card is also valid for use at Siam Discovery Center, Siam Paragon & Iconsiam. 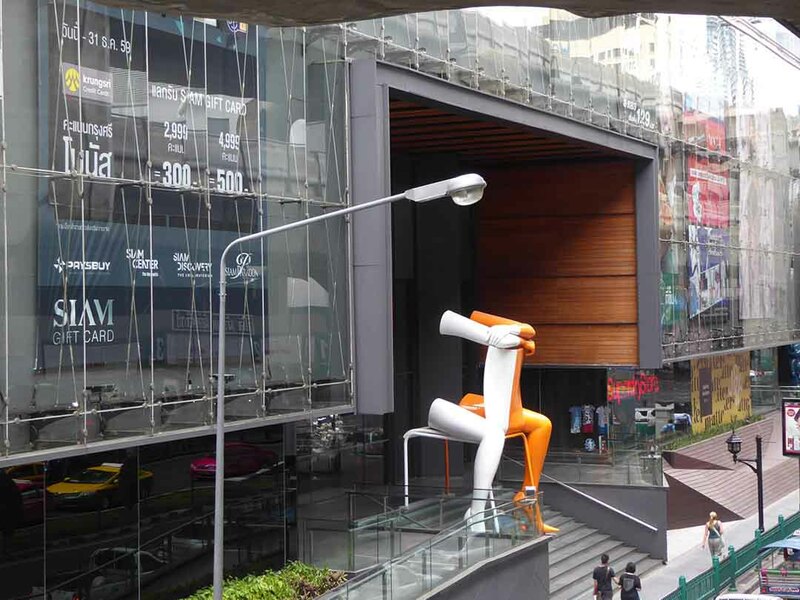 The mall links by a 4th-floor bridge to the Siam Discovery Center and via an outdoor concourse to Siam Paragon. 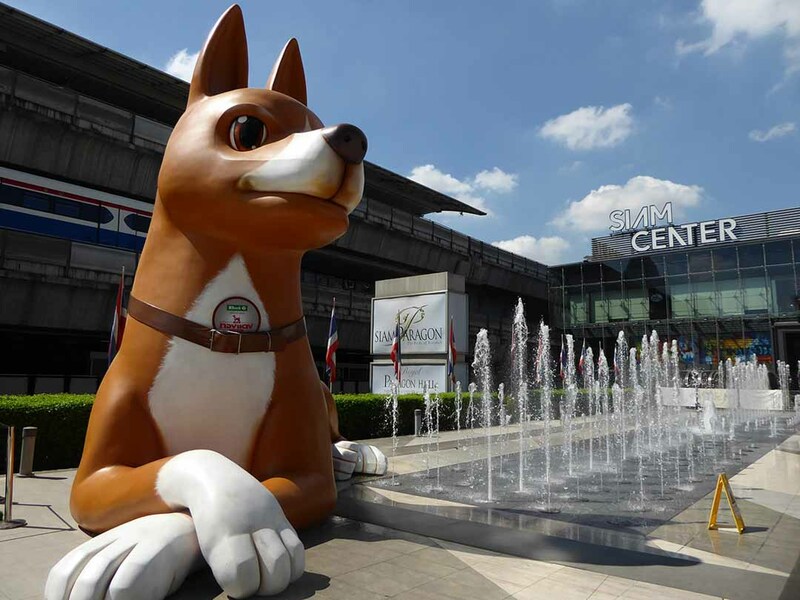 The mall links directly to BTS Siam station at exit 1. Location: 979 Rama 1 Road, Pathumwan, Bangkok.